In the early 2000s, the phrase “lost decade” began to be applied to Japan’s economic performance over the course of the 1990s. The lost decade started with the popping of one of the greatest stock market bubbles in history. Japan’s Nikkei 225 Index hit an all-time high of 38,916 in December 1989, and then began a sickening 80% crash to a low of 7,831 in April 2003. But the lost decade included more than just stock market losses. Japan also saw crashing property values, falling interest rates, rising unemployment, declining and stagnant GDP, and the worst demographic profile of any major economy. In short, Japan exhibited all of the hallmarks of a depression of the kind not seen since the 1930s. As the term “lost decade” became commonplace among economists, a funny thing happened. Another decade came and went and the Japanese economy was still in depression. Today, a full 25 years after the bubble burst in Japan, that country continues to struggle with deflation, zero interest rates, weak banks, adverse demographics, and periodic bouts of negative growth. Japan has endured a 26-year depression, and there is no end in sight. That’s important because Japan has the third-largest economy in the world, the third-largest bond market and the highest debt-to-GDP ratio of any major developed economy. In December 2012, a new Prime Minister, Shinzo Abe, assumed office and vowed to get the Japanese economy moving again. He proposed a “three arrows” program known collectively as Abenomics. The first arrow was monetary policy consisting of practically unlimited money printing or quantitative easing. The second arrow was fiscal policy consisting of tax relief and more government spending on infrastructure. The third arrow was structural reform of the over-regulated, over-protected Japanese economy. The first arrow was fired almost immediately. The explicit goal of monetary ease was to cheapen the Japanese yen (JPY) relative to the U.S. dollar (USD) and the currencies of its Asia export competitors such as Korea, Taiwan and China. In December 2012, the JPY/USD exchange rate was about 75:1. By mid-2014 the exchange rate had fallen to about 100:1; then it began a dramatic plunge to 120:1 by early December 2014. Right now, the JPY/USD exchange rate is around the 112:1 level. Japanese exports picked-up somewhat. To that extent, the first arrow seemed to work, at least in the short run. The second arrow, fiscal policy, misfired. Instead of using fiscal policy to cut taxes and provide stimulus, Japan raised sales taxes, which was like slamming the brakes on the economy. (As noted above, another tax hike is a distinct possibility). Japanese GDP plunged 1.9% in the second quarter of 2014 and fell again by 0.6% in the third quarter. This was Japan’s second recession in the past two years. Growth was positive in the fourth quarter of 2014, but the uptick was a modest 0.4%. The third arrow of Abenomics, structural reform, was never fired at all. 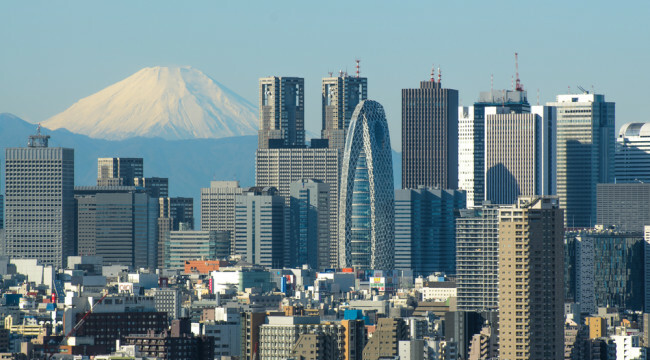 Structural reform includes things like immigration, women in the workforce, greater efficiency in Japan’s retail distribution network, and cleaning up bad debt from bank balance sheets. This is critical because structural reform is the only long-term solution to Japan’s depressed economic condition. Depressions are different from normal business cycles because they are the result of structural impediments to growth that impede capital formation, investment and new hiring. Monetary and fiscal policies can only provide temporary relief and their impact diminishes the longer they are used. A structural problem requires structural, not cyclical, solutions. With interest rates already below zero and structural reform off the table, Japan is a one-trick pony. Its only policy tool has been to cheapen the yen. The purpose of a cheapened yen is to increase inflation in Japan in the form of higher import prices. This inflation may at least increase nominal growth even if it does not help with real growth. Japan needs nominal growth to deal with its massive nominal debt that now exceeds 200% of GDP. Even the cheap yen strategy is failing as the yen has appreciated about 8% this year, the most among the 10 major currencies. It just recently hit a 17-month high against the dollar, despite the imposition of negative interest rates in January. I’ve said that Japan’s shock decision on Jan. 29 to impose negative interest rates was the monetary equivalent of setting off a thermonuclear device. With all three arrows of Abenomics having failed in different ways, the Japanese economy looks like it is starting to roll over again. This is revealed in the latest Japanese manufacturing purchasing managers index (PMI). A business survey that came out earlier today revealed that Japan’s manufacturing activity will contract in March for the first time in almost a year. New export orders shrank sharply as the global economy shows continued weakness. Japan’s Manufacturing Purchasing Managers Index (PMI) just fell to 49.1. Anything less than 50.0 indicates that the manufacturing sector in Japan is now contracting. That’s a long way from its all-time high of 56.20 in January 2014. And new export orders decreased for the first time since September. One index that tracks large manufacturers’ sentiment swung to negative 7.9 for January-March from a positive 3.8 for the October-December period, decreasing for the first time in three quarters. The slowdown in China has taken a large toll on Japanese exporters as Japan’s exports fell for a fifth straight month in February. The bottom line is that the Japanese economy is stalling out again. It shrank in the final quarter of 2015, dragged down by slow wage growth and sluggish global demand. And 2016 is not looking any better. Taking into account Japan’s goal of 2% inflation, the yen would have to plunge to a level of 150 or lower in order for Japan to come anywhere close to its inflation target. And if the yen were to get stronger, it would be devastating for Japan and would threaten to pull the U.S., China and Europe into the deflationary vortex they are trying to avoid. Oil prices in dollars have climbed back above $40 for the time being, which could bring some badly needed inflation to Japan. But recovery remains nowhere in sight.